Grand Final Day Melbourne is so popular that the state government made the Friday a public holiday. 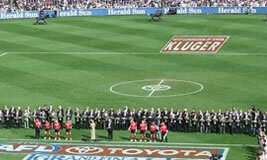 Melbourne is known as the sporting events capital and the MCG is the home of the AFL Grand Final. So Melbourne will be buzzing all Grand Final Week starting with the Brownlow Medal at the start of the week. Then a Grand Final Parade on Friday through the main streets with both teams soaking up the atmosphere that Melbourne turns on. Come Saturday from breakfast to closing it will be wall to wall AFL Football in Melbourne anywhere you turn! 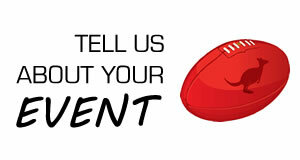 We have some great Melbourne venues and ideas for your Grand Final Experience! Enjoy! With a selection of Melbourne's best pubs, clubs, restaurants, hotels and events over the Grand Final weekend we've got loads of ideas for fun things to do to get your fill of footy fever. Right on the Yarra the Wharf will be open all Grand Final Weekend with Footy Fever special and fun. Music and Mega Screens. A great place to enjoy the footy finals fun all weekend. Grand Final Day will be live at Hopscotch. Families also welcome with a Kids area and handball comp at half time. Specials all day and live tunes after the final siren. AFL and NRL Grand Finals live on the Big Screens. Refreshing drink specials, fab food and competitions. Come and play! The Young and Jackson Hotel will have all the action of the Grand Final live on the big screens. Great iconic location to be a part of the action but a little more relaxed! 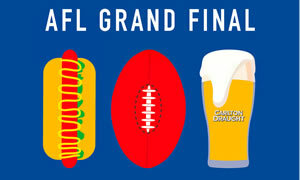 AFL Grand Final Footy Fun with a beverage package at this awesome venue right near Southern Cross Station. BBQ on the Balcony and Live music after the game. Central Melbourne venue with awesome secret bar that will be partying footy free this Grand Final Weekend. So if you just want to party without the footy talk. Trinket is for you. And maybe book out the Secret Soiree! 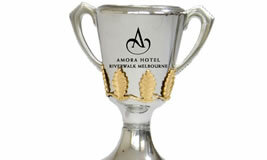 Centrally located Melbourne hotel with awesome Grand Final options for you an your friends. Book in for lunch at our VIP Grand Final Lunch in the Observatory. Grab pre game brunch in the Garden Grill. Or cheer on the teams in the Public Bar or Beer Garden. All the big screens will have the game live. 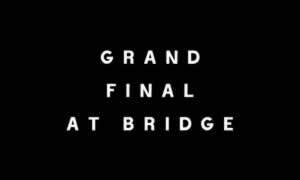 Come and enjoy the Grand Final by the Yarra River on our BIG TV screens. Refreshing drinks, fun galore, great food and an after party with DJ. Book your table Yarra Side and enjoy the AFL Grand Final live on our BIG TV screens. Drink and food specials. Inside and out! Awesome footy fun in St Kilda with 5 hour beverage package on Grand Final Day. And stay on for the finals after party. The whole Grand Final Long Weekend is covered at PJ O'Brien's from Thursday to Sunday. With a public holiday in Melbourne on the Friday it will be fun, fun, fun at this great venue located in Southbank. Specials and all the action live on the big screens! 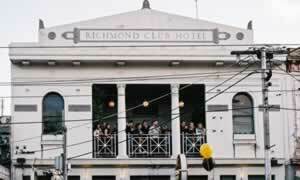 Enjoy a Big Weekend Lineup this Grand Final Long Weekend at the Temperance Hotel in South Yarra. Party on Thursday Night. Continue the pary though Friday. 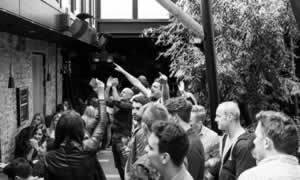 On Saturday watch the AFL Grand Final LIVE & Loud and then dance the night away. 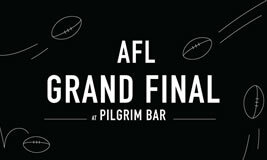 Watch the BIG game LIVE on the BIG screens this Grand Final Day at Pilgrim! Enjoy Pilgrims Gourmet Sausage Rolls and siren to siren happy hour drinks special. Take in the view of the Yarra while you cheer on the teams at the MCG. Bring the family and watch the Big Game LIVE on the screens in Amora's Lobby Bar. Enjoy the taste of Amora's Fresco Restaurant & Tapas Menu. Plus you're only a short trip away from all the post game festivities in Melbourne's Sports and Entertainment district. It's blockbuster weekend at Turf Bar. Watch the 2 BIG Games LIVE and Loud at Turf this Grand Final Weekend. Start the weekend off with a special happy hour on the Thursday followed by the parade on Friday culminating in all the atmosphere of the AFL and NRL deciders. 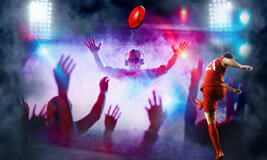 A footy fabulous day awaits with options of a Footy package of 5hrs food and beverages. The big screens will be on the AFL Grand Final. Be quick and book in now. Kick goals with this 5hr package of footy food and drinks. And then shepherd your way to the dance floor later until the final siren. This will sell out so get your friends sorted quickly. Grand Final on the Big Screens and BBQ and Footy refreshments packages. You'll enjoy the fabulous rooftop at this venue. Be quick as it's first in best dressed. 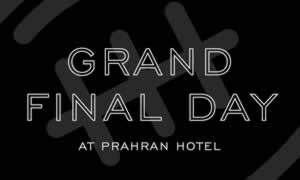 A favourite footy venue the Prahran will have the AFL Grand Final live and loud on the big screens. Great options with Restaurant bookings, Upton bar Footy Finals Package and Public Bar fun. Be quick and don't leave it to the bounce. Watch the Grand Final LIVE on the Big Screens in VIP style at the Woolshed. Choose from 2 exclusive VIP packages featuring food, drinks and special guests. Or book a table for free and watch the game from the Woolsheds main bar. Be right in Swan Street with all the Grand Final atmosphere. Awesome breakfast, lunch and dinner options. But be quick and book asap. These will sell out. Swan Street will be pumping on Grand Final Day and the Holliava will be one of the places to be. Free Beers until the first goal! So the Holliava fans will be hoping for an arm wrestle first quarter! Grand Final BBQ all day! 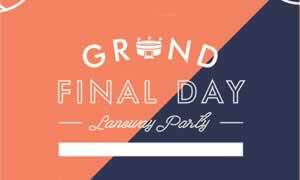 Checkout the Big Super Screens with the game live and loud in our Laneway Grand Final Party. Drink specials and lots of fun assured! Go team! All the AFL and NRL footy and non footy ideas for things to do in Melbourne with friends and family keep coming this Grand Final Weekend. We've tabled a quick version to help you and your friends get out and about on these Big Days. Here is our Melbourne Grand Final Day summary guide of things to do. Ideas for the weekend, the day, the eve. 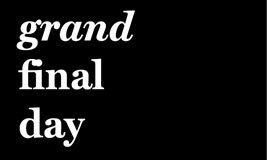 Ideas for breakfast, lunch and dinner in great Melbourne restaurants, hotels, pub and venues to help celebrate this awesome September Grand Final Day! 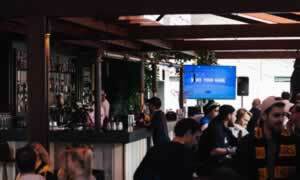 AFL Grand Final Experience all the Grand Final action at Platform 28. Great food and your favourite footy. The football fun is guaranteed with BIG screens to watch all the action LIVE & LOUD. Great access from Southern Cross station. 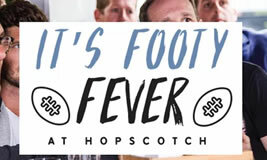 It's Footy Fever at Hopscotch Get caught up in the Finals Footy Fever at Hopscotch on Grand Final Weekend. Watch the BIG Game on Saturday followed by LIVE Music. On Sunday enjoy some LIVE music and then take in the other BIG Game. 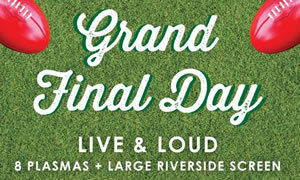 AFL Grand Final Live Catch the BIG game LIVE with sound at a great Melbourne riverside location. Ensure you have one of the best seat in the house to watch the AFL decider by calling to reserve your seat close to the screens and soak in the Grand Final atmosphere. 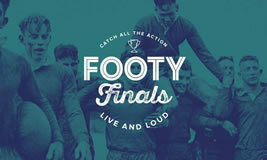 Grand Final Day Catch all the action of the AFL Grand Finals LIVE & LOUD at the Wharf. Watch the big games on the BIG Screen throughout the venue. Enjoy the food and drinks specials and our half time fun. Stay on after the final siren for some LIVE tunes. 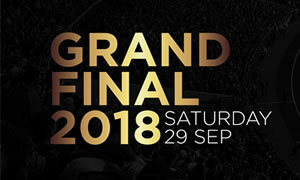 VIP Grand Final Day Enjoy all the action of the BIG Game on Woolsheds 2 giant plasma screens with a VIP bar package featuring beer, wine, juice and soft drinks plus footy themed canapes from the Fireside Mezzanine. After the match enjoy some LIVE entertainment into the evening. 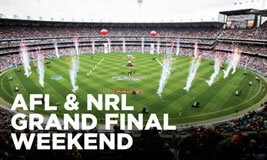 Grand Final Day Weekend The whole Grand Final Long Weekend is covered at PJ O'Brien's from Thursday to Sunday. With a public holiday in Melbourne on the Friday it will be fun, fun, fun at this great venue located in Southbank. Specials and all the action live on the big screens! 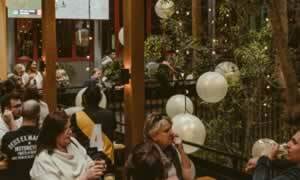 Finals Spring Functions Hophaus at Southbank is a sensational venue for your next function this Spring. Amazing food with a Munich tilt and such a special space, it will make the perfect choice for your next work meeting or function. Great location and easy access to transport for participants on road, tram, rail and water. Give the Hophaus team a call for Finals type Spring Function. Grand Final Day at Campari House This Grand Final Day catch all the Grand Final festivities live from the MCG at Campari House. Watch the big game LIVE and enjoy celebration drink Specials. Fill up on an Aussie BBQ whilst you cheer the teams on to victory. 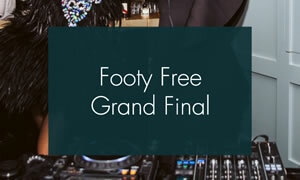 AFL Grand Final Live and Loud The Young and Jackson Hotel will have all the action of the Grand Final live on the big screens. Great iconic location to be a part of the action but a little more relaxed! 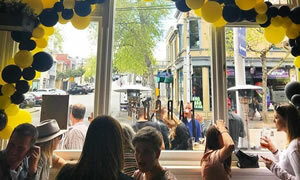 AFL Grand Final Weekend Enjoy a Big Weekend Lineup on Grand Final Long Weekend at the Temperance Hotel in South Yarra. Party on Thursday Night. Recover on Friday with a hearty pub lunch. On Saturday catch the AFL Grand Final LIVE & Loud and then dance the night away. 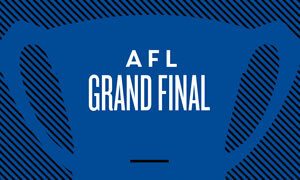 Grand Final Day Footy finals live on the screens at Euro and Aer Rooftop. Sports mad Melbourne will be well satisfied with sports sports sports shown live and 4 levels of entertainment at Euro on Saturdays you will find your footy or non footy level! Go on take a screamer up in the Aer Rooftop! Grand Final Week All the AFL finals action live on the big screens during the Grand Final Weekend. Melbourne Public has multiple big screens throughout the venue ensuring that you'll always have the best seat in the house to watch all the Footy action at this superb South Wharf location. Finals Day Sports Screens Grand Final Day will going off at the Precinct Hotel in Richmond. The venue has great sports screens to watch all the action. They also have good food and plenty of options on celebratory drinks. 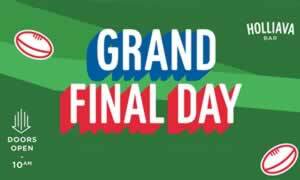 AFL Grand Final Day Watch the the AFL Grand Final Live on the Ludlow big screens on last Saturday in September. Open from 11am for Brunch, Lunch and Dinner. Fun for all located right on the Yarra River, Southbank! Grand Final Weekend It's blockbuster weekend at Turf Bar. Watch the 2 BIG Games LIVE and Loud at Turf on Grand Final Weekend. Start the weekend off with a special happy hour on the Thursday followed by the parade on Friday culminating in all the atmosphere of the AFL and NRL deciders. Grand Final Day at Riverland Right on the Yarra River just down from the MCG. The atmosphere will be super come Grand Final Day and Melbourne's Riverland is kicking goals with Waterfront Views, Meat on the Spit and Beer all to add to your AFL Grand Final Day Experience. A Pilgrim's Grand Final Day Watch the BIG game LIVE on the BIG screens this Grand Final Day at Pilgrim! Enjoy Pilgrims All Aussie Food and Drinks Menu and siren to siren Carlton Draught drinks special. Take in the view of the Yarra while you cheer on the teams at the MCG. Spring Fun Up High Get out and about this Grand Final Day and take a Speccy up at Eureka Skydeck. AFL Grand Final Day Lunch Great for families and accommodation available. Grand Final Day Lunch in the Lobby Bar. Large HD screens. 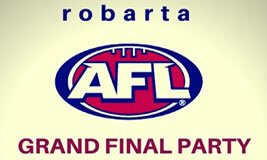 AFL Party Don't miss any of the action of the AFL Grand Final by watching it on the big screens at Robarta. Enjoy some great food and drinks and then stay on to party the night away at the after party over 2 floors until 8am. AFL Grand Final Right on the Yarra this awesome venue will be footy alive with and AFL Grand Final. Enjoy the perfect footy watching food. Watch the game live on the Mega Screen and then follow it up after the game with music to continue the party into the night. AFL Grand Final Get into the spirit of the occasion and watch the Big Game just a stones throw from the MCG at the Duke. The Duke is a great spot to catch all the Grand Final Action LIVE & LOUD! Grand Final Eve Dining If you are in town for the AFL Grand Final then eating and drinking well is a necessity. And if you need to carbo load for the big day it will be a good idea to head to the Italian inspired Terra Rossa on Grand Final Eve for one of their fantastic pasta meals. And wash that down with an ale or two. AFL Grand Final Awesome CBD venue where you can get away from the footy crowds. Try a pre game brunch or book for lunch in the Observatory. The main bar will have footy specials. And all rooms will have live screens to watch the big match. AFL Grand Final Day Get you footy fix with live coverage of the AFL grand final on all the Big Screens. Food and beverage packages and fun for all. AFL Finals Live Various grand final day packages. Casual main bar to restaurant bookings and Upton Bar special grand final packages. All the TV screens will be on the big game. Finals Fun Great Melbourne venue that also has a fabulous rooftop. So watch the game and then enjoy some refreshments at half time inside outside! Settle in for a big cheer this Grand Final Day. Footy Footy Footy Book a table for a footy breakfast and start kicking a few goals early. A great venue right in Richmond and always popular. Lunch and Dinner bookings are also available for the Grand Final, but be quick! Footy Finals BBQ Right in the action in Swan Street Richmond very close to the MCG. A great venue that will be having a Footy BBQ on Grand Final Day and always has drink specials. All the screens will be tuned in to the finals. Finals Laneway Party Magnificent pizza and beer venue that also has so much more. On GFD it will be super with outdoor giant TV screens on the finals. And might even have a handball competition to entertain at half time. All done with Grand Final Day for the year? Now is the time to start looking towards the next of the BIG days, Melbourne Cup Day. Over at CupDay.com.au we've got the details of all the Hot Events happening in Melbourne over the Cup Day break. Check out Cup Day Melbourne! Then looking further along to the Biggest of the years BIG days, New Year's Eve. And at NewYearsEve.com.au all the ideas for NYE events in Melbourne are at hand. See NYE Melbourne!